The Blazer line of ammo is part of the CCI Speer brand. Along with Federal and several other brands, they make up the ATK family of ammo products. 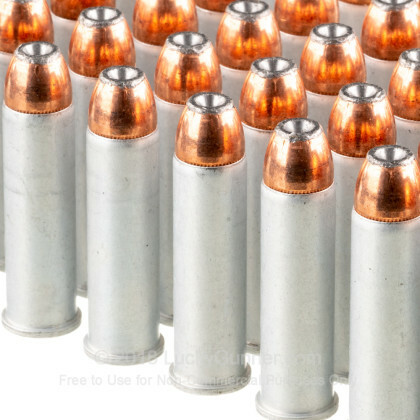 The Blazer line is some of the most popular and affordable US-made ammo on the market. And the handgun loads are available in both brass and aluminum cased varieties. For this review, we're going to look at some of Blazer Aluminum in .357 Magnum. 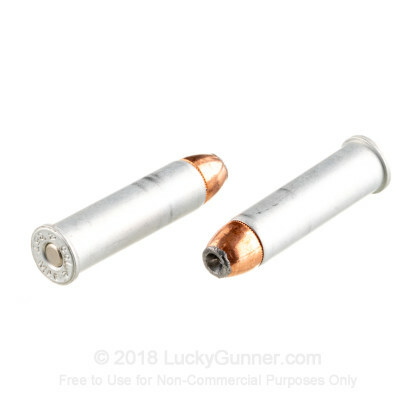 This load features a hollow point lead bullet with a copper jacket and a non-corrosive primer. The aluminum case is a cost-saving measure that Blazer has been producing since the early 1980s. Other than being non-reloadable, it offers very few disadvantages compared to traditional brass cases. This hollow point load is designed to expand on impact. It's an older design so it wouldn't be my first choice. But for self defense or hunting applications, it should perform better than a non-expanding bullet. We test fired a couple of boxes of this ammo through a few different guns. We used five revolvers and one Marlin lever action carbine. Recoil was moderate for a .357 and manageable even in our smaller guns. The round was especially easy to handle in our carbine and we could fire rounds in rapid succession with no problem. We didn't experience any ignition failures or any issues with extracting spent cases in our test guns. With the carbine at 25 yards, we got a pretty decent 10-shot group with every round impacting just a little low and right of the point of aim. 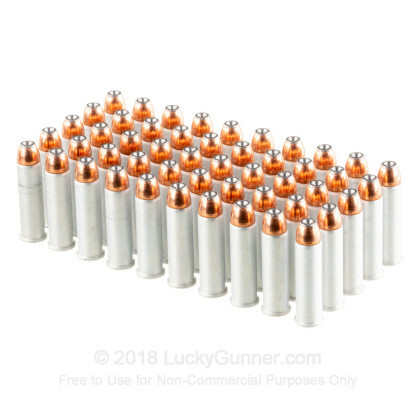 There are a lot of more advanced expanding rounds available, but not anywhere close to the price of Blazer Aluminum. 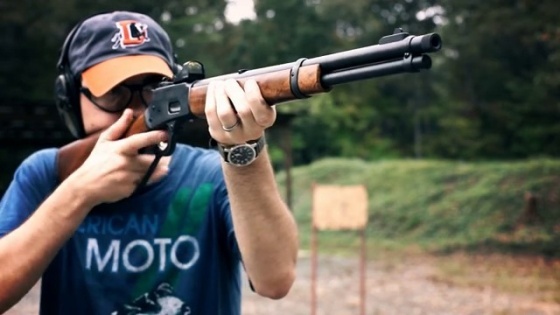 It makes a great plinking round with a little extra thump. And could be used for more serious applications in a pinch. 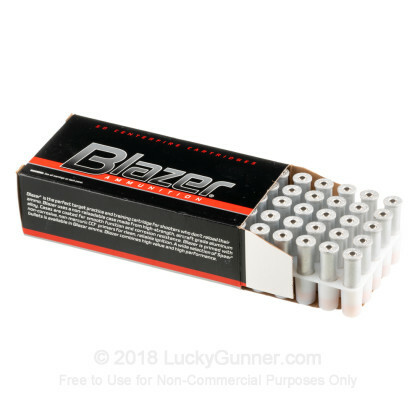 We don't have any reviews yet for this particular .357 Magnum ammo from Blazer. 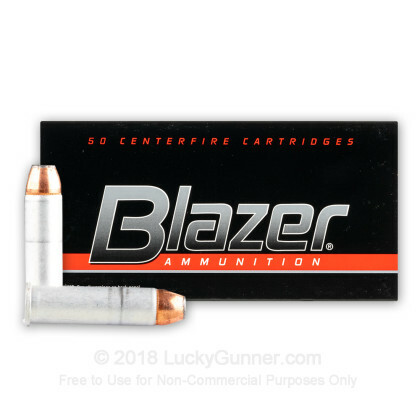 If you'd like to be the first to review this particular .357 Magnum ammo from Blazer, fill out the form below. 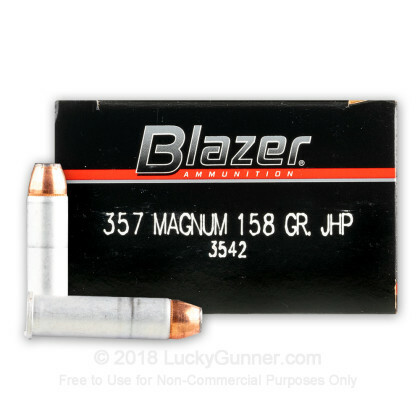 We also have this 357 Mag - 158 Grain JHP - Blazer - 50 Rounds ammo in stock in a smaller quantity.